Our homes seem to be getting smaller and smaller every day. If you live in a city like New York or London, you may be paying an obscene amount of money for an apartment the size of a closet. A San Francisco startup is looking to use robotics and artificial intelligence to help maximize floor space like never before. Seemingly inspired by the Jetsons, Bumblebee Spaces has designed robotic furniture that drops from the ceiling and can be retracted on demand when you aren’t using it. If that wasn’t enough, their AI infused storage will actually keep track of all your stuff. Take your bedroom for example. When you aren’t sleeping, your bed is just sitting there taking up space. 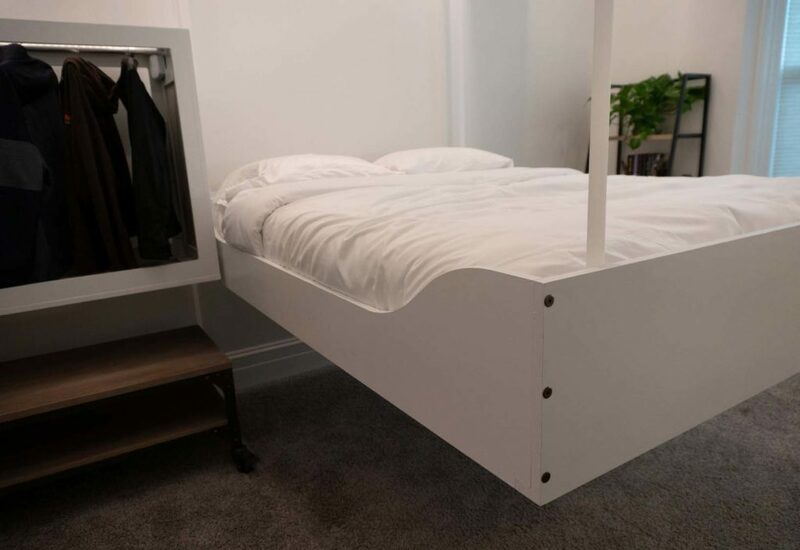 With Bumblebee’s furniture, you can press a button and your bed will disappear into the ceiling. Press another button and your bedroom turns into an office. It’s like having two rooms in one. 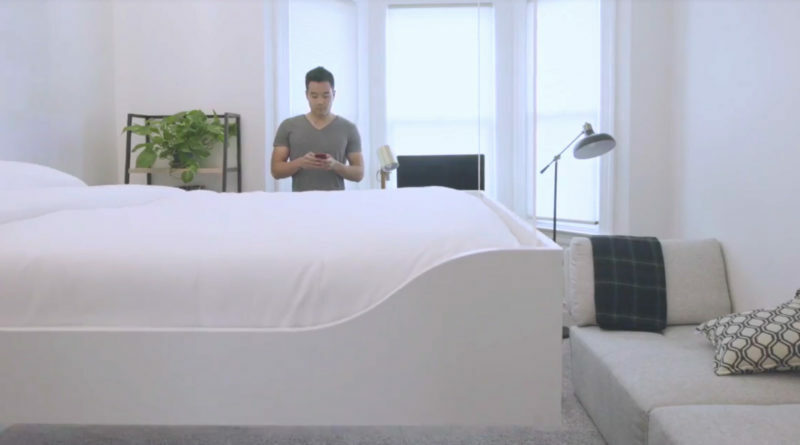 It only takes about 20 seconds for your bed to lower or retract and the same can be done with your nightstands, couches or any other furniture you might have. Have trouble organizing all your stuff? Bumblebee’s storage has you covered. The artificial intelligence will keep track of all of your items and even retrieve them on demand. A deep learning network classifies and catalogs your items so you can easily run a search for your favorite sweater. Always misplacing things? When you take out or put back an item, the unit’s overhead cameras are triggered and send an image to the database. So if you misplace your keys, the AI will know exactly where you last put them. Bumblebee’s connected storage will even know what items you need before you do! If it’s raining outside, the smart storage will offer up an umbrella. Bumblebee Spaces has really focused on making their furniture safe. They are equipped with sensors which can detect when people and objects are in the way. The furniture also has weight detection to it won’t retract if you or your pet is still on it. Everything is controlled via an iPad like touchscreen and safety messages will flash when the system is unable to lower or retract. The furniture can be installed in most homes and apartments only needing 30 – 35 centimeters of ceiling height. The company claims it only takes about 4 hours to retrofit a room (they are hoping to get the installation to under an hour). A full ceiling install with a bed, wardrobe and storage costs around $6000. Check out our articles on AI turning photos into recipes and robot bees that one day might pollinate our crops. ← Could Robot Bees Help Pollinate Crops if the Real Ones Disappear?